Manipur High Court Recruitment 2019: Manipur High Court, at Imphal / hcmimphal.nic.in is conducting recruitment processes to fill 5 vacancies. As of now, there is one recruitment drive going on for Apply Online for Manipur Judicial Service Grade-I Posts. Manipur High Court Recruitment 2019 - Apply Online for Manipur Judicial Service Grade-I Posts in Manipur High Court, Imphal, Manipur on Direct Recruitment. Online Applications are invited by Manipur High Court, at Imphal from 25 Apr 2019 11:00 AM to 16 May 2019 04:00 PM for 5 vacancies. 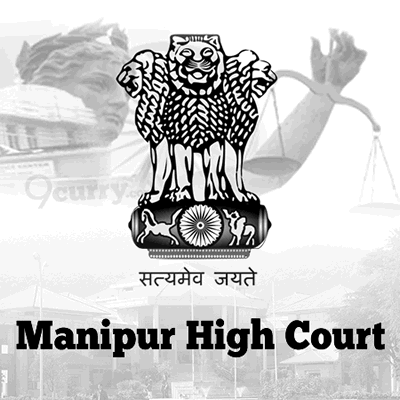 Manipur High Court Recruitment 2019 - Apply Online for Jr. AA & OA Posts in Manipur High Court, Imphal, Manipur. 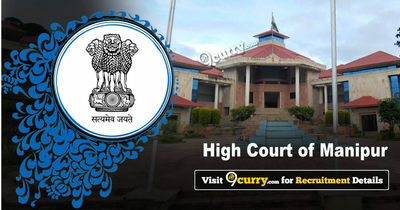 Online Applications are invited by Manipur High Court, at Imphal from 05 Mar 2019 to 18 Mar 2019 for 9 vacancies. Manipur High Court Recruitment 2018 - Apply Online for Driver Posts in Manipur High Court, Manipur, Imphal on Regular Basis. Online Applications are invited by Manipur High Court, at Imphal from 05 Dec 2018 to 20 Dec 2018 for 9 vacancies. Manipur High Court Recruitment 2018 - Job notification for 10 Panel Lawyer Posts in Manipur High Court, Manipur. Applications are invited by Manipur High Court, at Imphal on or before 27 Oct 2018 for 10 vacancies. Updated April 14, 2019 10:36am by Harish Kumawat | No. : HCM/LSC.4-2016/Estt. Manipur High Court Recruitment 2018 - Job notification for 10 Panel Lawvers Posts in Manipur High Court. Applications are invited by Manipur High Court, at Imphal on or before 30 Aug 2018 for 10 vacancies. Manipur High Court Recruitment 2018 - Apply Online for Apply Online for 21 Lower Division Assistant (LDA) Posts in Manipur High Court, Manipur on Regular Basis and Contract Basis co-terminus. Online Applications are invited by Manipur High Court, at Imphal from 27 Jul 2018 to 10 Aug 2018 for 22 vacancies. Manipur High Court Recruitment 2017 - Latest job notification for 7 Stenographer Posts in Imphal on Ad hoc Basis. Applications are invited by Manipur High Court, at Imphal on or before 18 Sep 2017 for 7 vacancies.